Our friends decided to come visit and celebrate being together as well as the new year. This made it a festive occasion and truly an Auld Lang Syne tribute. 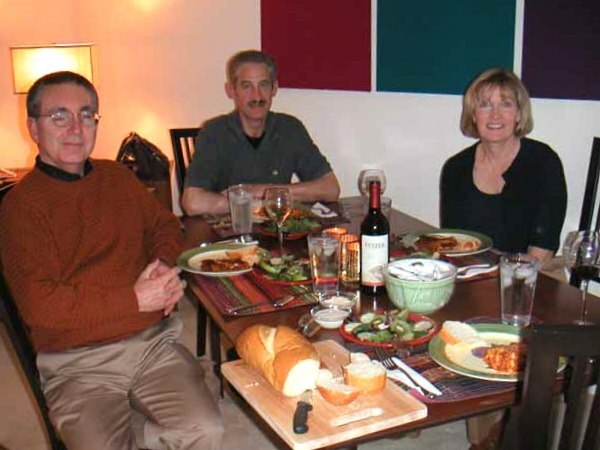 So we celebrated the New York new year at 9 and then sat down to a lasagna dinner. Afterwards we celebrated with Mexico City at 10 because we couldn’t find a Chicago coverage. We shared photos and the next hour passed quickly before the 11 celebration in the Baja. 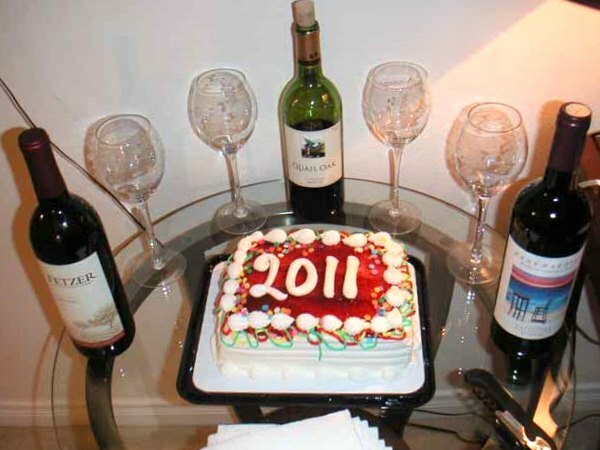 We cut the cake and Linda popped the Prosecco to start the count down for the new year here in California. 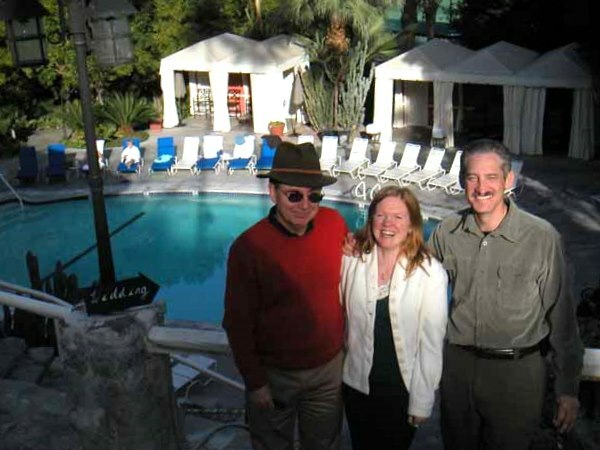 We sang along with Sonny in “I Got You Babe” to honor his contribution Palm Springs.Â We, Wild Things, continued to find more songs with Henry being our DJ. Earlier in the day we lunched at Spencer’s – very elegant with the piano music. We then toured around the pool for a photo op. 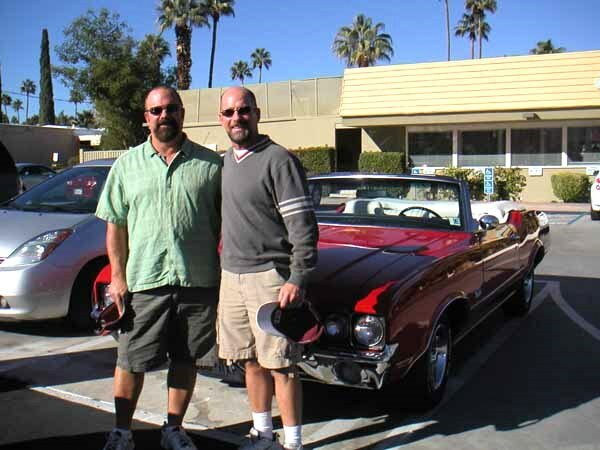 The architects enjoyed walking around Palm Springs and analyzing the mid century modern styles. Mike was figuring out how everyone could market their “products” and no one would really know what they were selling. Great month of December 2010…we are looking forward to more adventures in 2011.